The following information and resources are provided by Midwest Energy to assist our clients with their Electricity and Natural Gas needs. Midwest Energy is dedicated to providing clients with useful information. As such, we will continue to update the following resources as they become available. 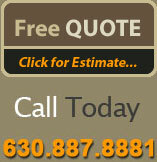 * Midwest Energy Provides the information on this page for the benefit of our clients. We do not endorse the organizations on this site.